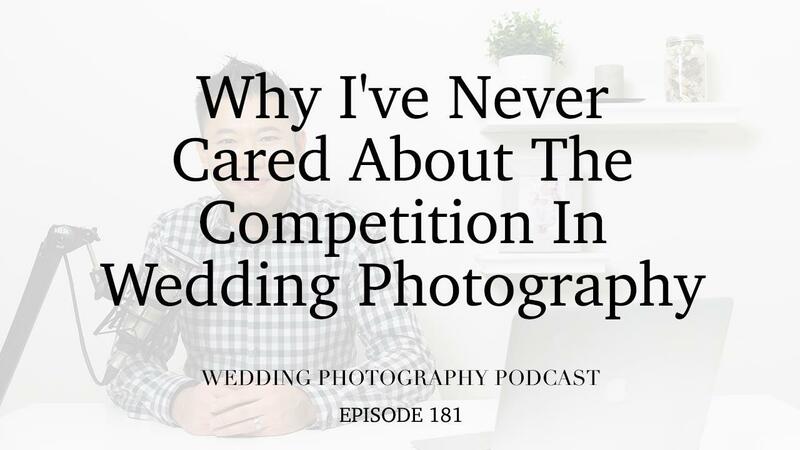 It’s easy to always be comparing ourselves to our competition in wedding photography. You might be following other wedding photographers on Facebook and Instagram or you’re going to networking events where you’re meeting them and being exposed to their work. But constantly comparing yourself to others can harm your confidence and ultimately hurt your business. In this podcast episode, I’ll explain why focusing on what I needed to do to be the best photographer I could be has contributed to my success and helped me to stay in business for so long. Particularly if you’re in a big, competitive market, what good is it to be constantly worrying about what others are doing, rather than focused on what your next step is. There’s a fine line between understanding why clients might go with another photographer instead of you and caring about who your competitors are. More importantly, you should be learning from your own mistakes, discovering ways you can stand out and focus on serving your clients to the best of your ability.